The International Baccalaureate Diploma Programme (DP) is designed for students aged 16-19. It is a unique curriculum, not based on the pattern of a single country, but a deliberate compromise between the specialisation required in some national systems and the breadth of learning preferred in others. 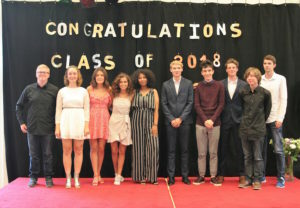 In achieving this, students who successfully complete the IB Diploma Programme demonstrate a strong commitment to learning, both in terms of their mastering of a range of subjects and in their development of skills and disciplines necessary for success in our competitive, global world. Students and educators from IB schools around the globe, explain the DP in this great film. The ISUtrecht is fully authorised to offer the IB Diploma Programme. The first cohort of ISUtrecht DP students will sit their exams in the spring of 2018. The IB Diploma allows entry to universities around the world. Some US universities offer advanced credit for IB Diploma students on certain courses. 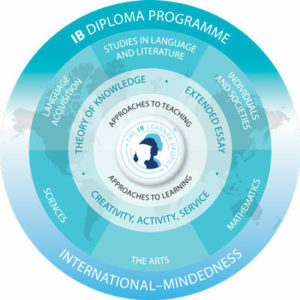 All leading universities in Europe recognise the IB Diploma. Diploma candidates are required to select six subjects from a broad spectrum of learning incorporating the humanities and sciences. Three of these subjects are taken at Higher Level, the others at Standard Level. By arranging subject learning in this way, students are able to explore some subjects in depth and some subjects more broadly over a two-year period. Please ensure you familiarise yourself with the General Regulations for IB Diploma students.